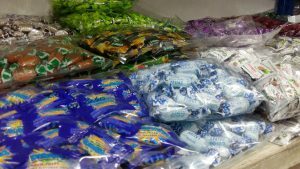 When my friends need to plan for parties or farewells, they would ask me where to find places that sells party products like ballons, special cute plates, hats and other parties items. Mr DIY is one of my favourite stores to visit because they contained so much of items. It is known that items sold in Mr DIY comes in reasonable prices. 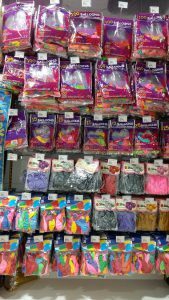 Above are various ballon types sold at Mr DIY. You can see they consists of a lot of colours and themes. However, I am unsure of how the quality of the ballons. 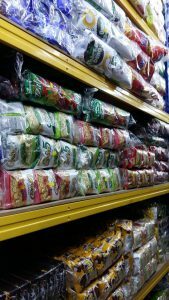 They also sell party packs that you can use to pack your goodie bags for visitors or that year end gift. 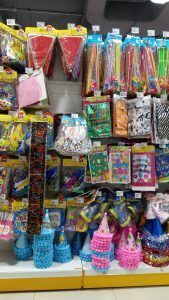 They have nice wall decos that you use to decorate your place for parties as well as party hats. 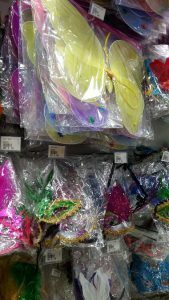 There are nice eye decorative masks, small angel wings that are also sold there. For fancier party paper plates, I also seen them being on sale at Mr DIY. 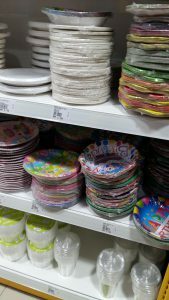 A small stack of colourful paper plates cost about RM2.60. Colourful paper plates would definitely light up a children’s party (but may not be necessary for adults). 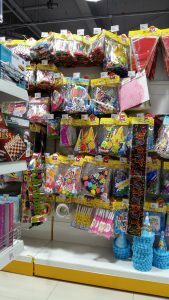 If you are throwing a party for your kids and providing little cute party packs for children that comes to the party, you may also look around for toys for little prince and princesses in Mr DIY. I remember when we were very young, my brother went to a birthday party and received a cute party packs containing stickers. The stickers were unique and I still kept them until today. 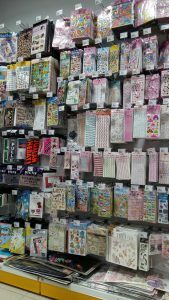 Mr DIY does sell stickers are reasonable prices.